This holiday season, The Arcadia Police Department will be out looking for drunk & drugged drivers as part of a special year-end Drive Sober or Get Pulled Over enforcement mobilization. As part of the Drive Sober or Get Pulled Over enforcement campaign period, police, sheriff and the CHP will be deploying DUI Checkpoints and DUI Saturation Patrols during the upcoming 17-day DUI crackdown throughout the region. The Arcadia Police Department will be conducting a DUI/CDL Checkpoint during the evening hours of December 30, 2016. Drugs such as prescription medication, marijuana or illicit drugs can impair judgment and get you the same DUI arrest as alcohol. Nationally in 2014, 32,675 people were killed in motor vehicle crashes with 9,967 people killed in crashes involving an impaired driver. In California, total highway deaths were reported at 3,126 with 1,155 lives lost in alcohol and/or drug impaired collisions. If you’re caught driving impaired by alcohol or drugs, you could face jail time, fines, loss of driver’s license, towing fees, and other DUI expenses, totaling $10,000 on average. 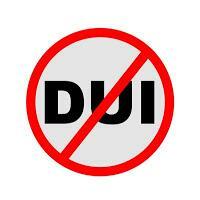 For more information on the Drive Sober or Get Pulled Over enforcement campaign and all OTS efforts, visit www.ots.ca.gov. To learn more about the DDVIP app, please visit the OTS Facebook at www.facebook.com/CaliforniaOTS or follow OTS on Twitter @OTS_CA. The Arcadia Police Department wants everyone to have a safe and memorable holiday season, and is calling on everyone to be alert; ‘Report Drunk Drivers – Call 911! Funding for this holiday enforcement campaign is provided by a grant from the California Office of Traffic Safety, through the National Highway Traffic Safety Administration.